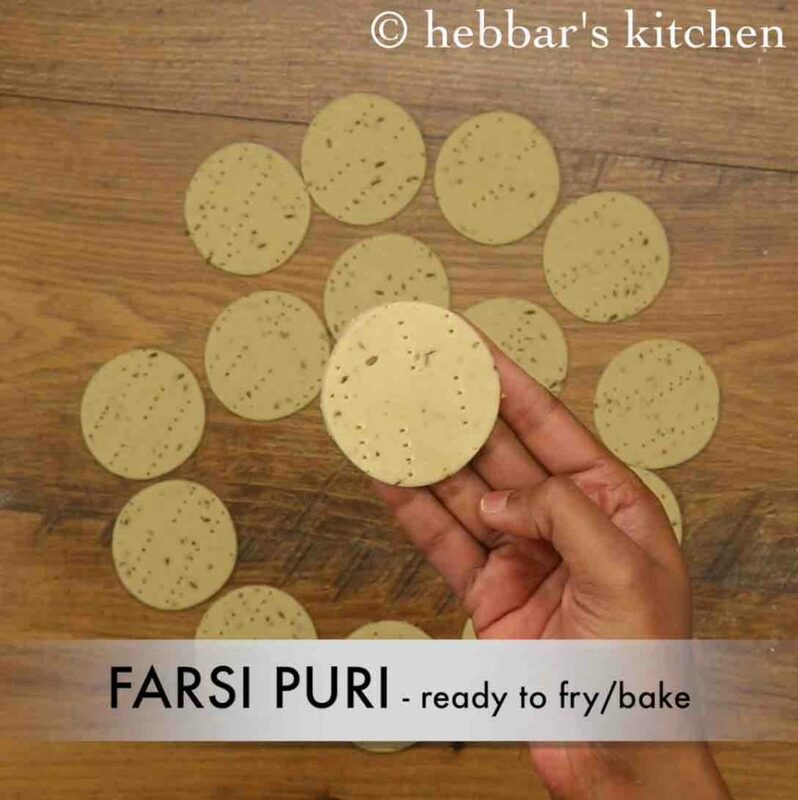 farsi puri recipe | crispy gujarati farsi poori | namkeen farsi poori recipe with a detailed photo and video recipe. 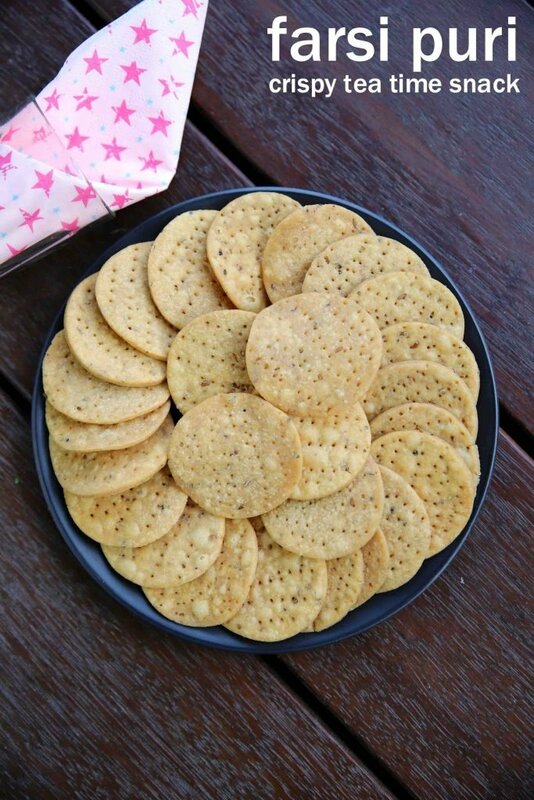 a crispy and savoury snack recipe coming from the gujarati cuisine is made from wheat flour and other spices. it is a popular deep fried evening tea time snack, which is also used in popular chaats recipes. 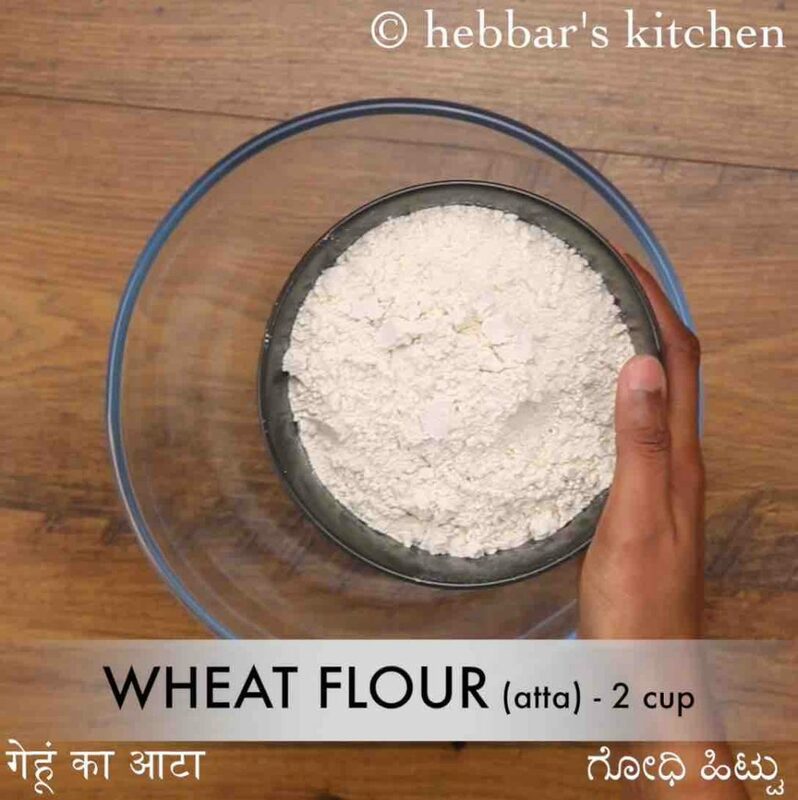 it is generally made with maida or plain flour, but wheat flour is used as a healthy alternative. 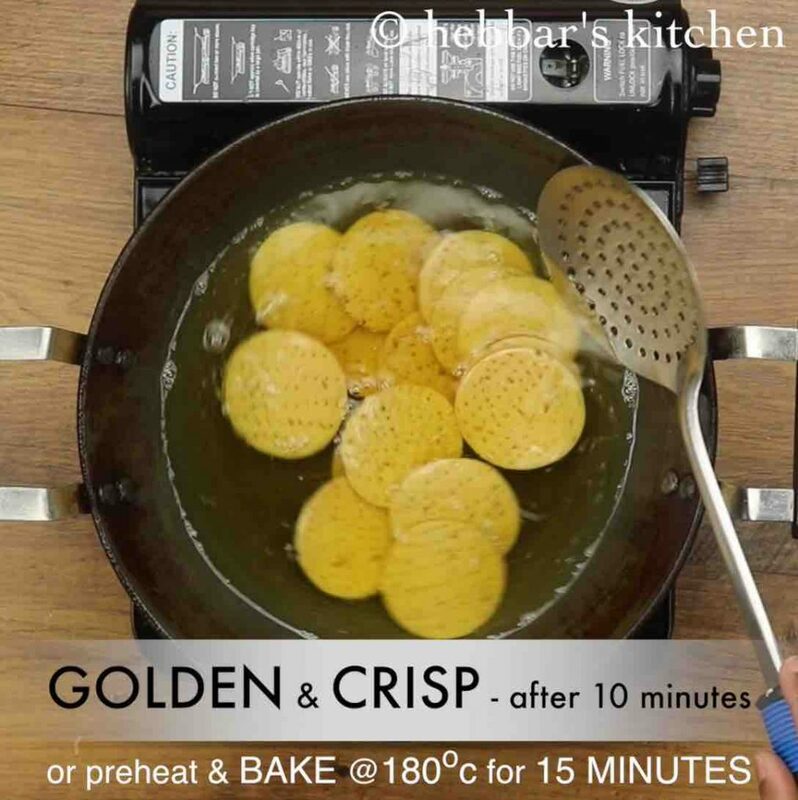 farsi puri recipe | crispy gujarati farsi poori | namkeen farsi poori recipe with step by step photo and video recipe. there several crisp puri recipes across indian regions which mainly differs with ingredients and texture. farsi puri is one such crisp snack from the popular gujarati cuisine, made especially for chaat recipes. 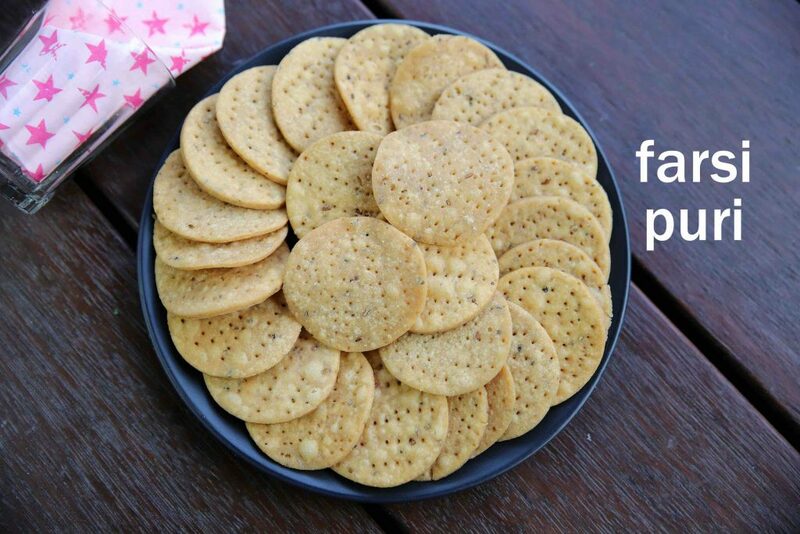 but also popularly consumed as a savoury snack with tea or coffee. i am not a huge fan of the farsi puri recipe when compared to my previous post of methi puri. i like the later because it is a complete package. it has to offer the bitterness, savoury and spice in each bite. and hence that’s the reason, you can find recipes of farsi puri with methi leaves too. however, i have prepared it without it and respecting the traditional gujarati recipe. having said that, i have used wheat flour and skipped the maida or plain flour and thus giving it a healthy touch. using atta flour is certainly healthy, but in terms of taste, maida should be your first choice. or perhaps, you can combine both with an equal ratio too. 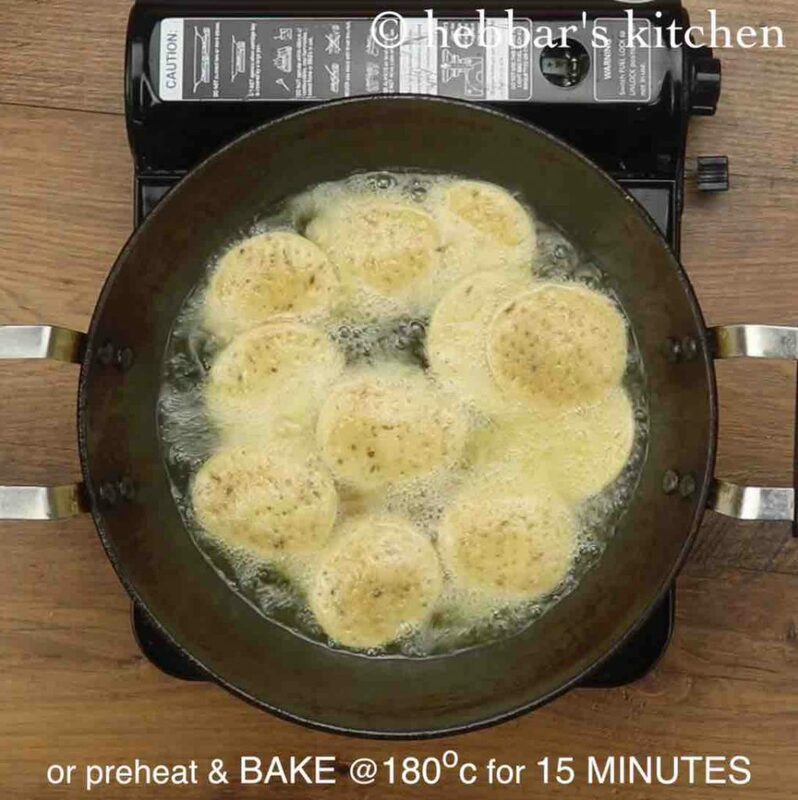 some tips, recommendations and suggestions to this simple and easy farsi puri recipe. 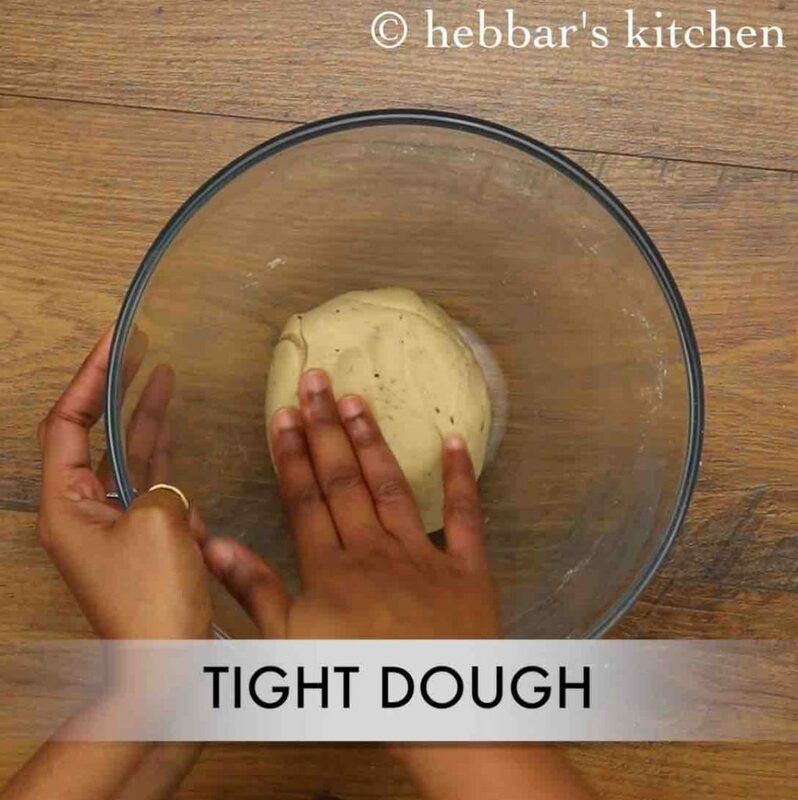 firstly, while kneading the dough, make sure it is firm and not soft like chapati dough. i recommend adding water in batches while kneading so to keep it under control. 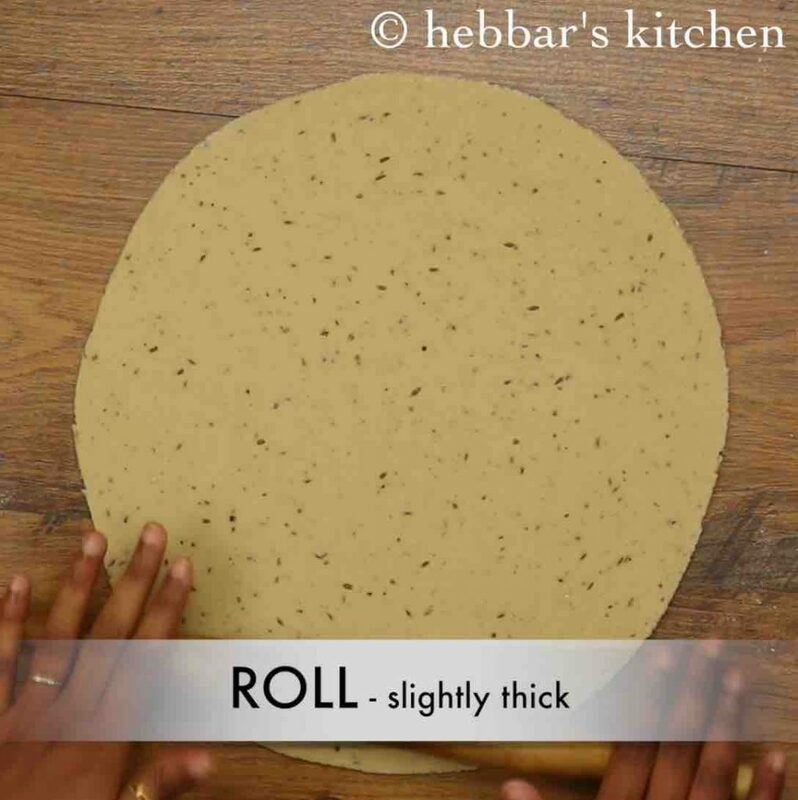 secondly, the puri’s should be slightly thicker than a normal chapati or roti’s. this would help in attaining a crisp brittle texture. also, do not forget to poke with a fork before deep frying. lastly, deep fry these in small batches in a low to medium flame. once deep fried, store them in an airtight container for a longer shelf life. firstly take 2 cup wheat flour. 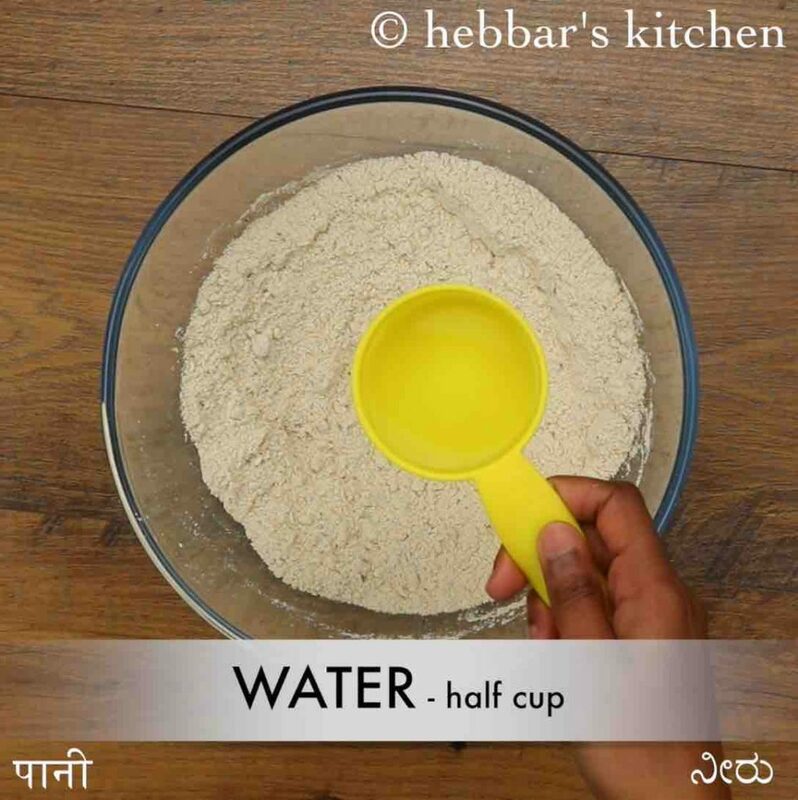 you can also use maida for more flaky farsi puri. 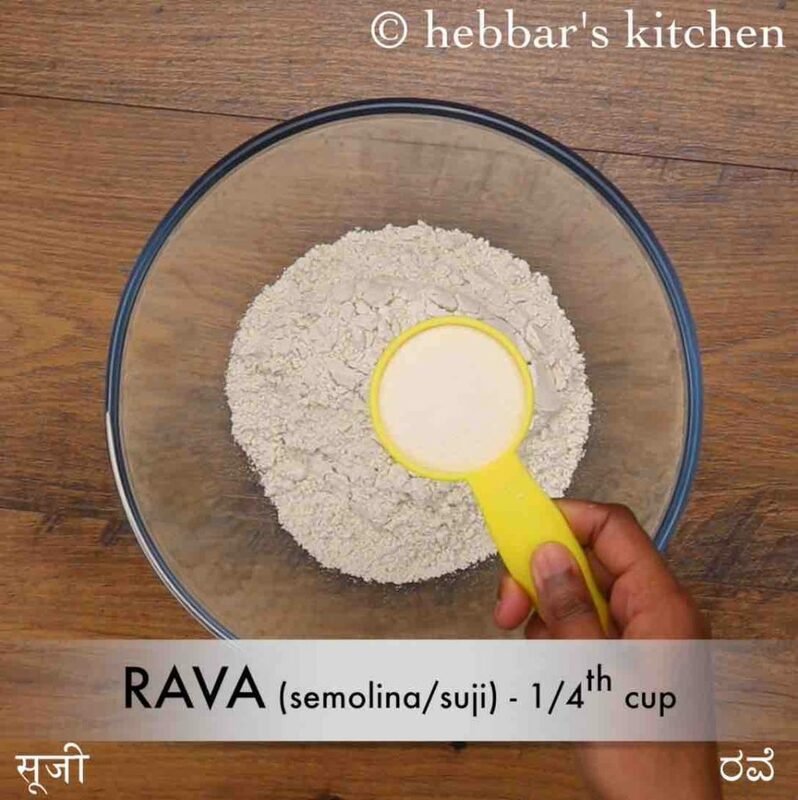 also add ¼ cup rava, 1 tsp pepper, ½ tsp cumin, ¼ tsp ajwain,½ tsp salt and 2 tbsp ghee. 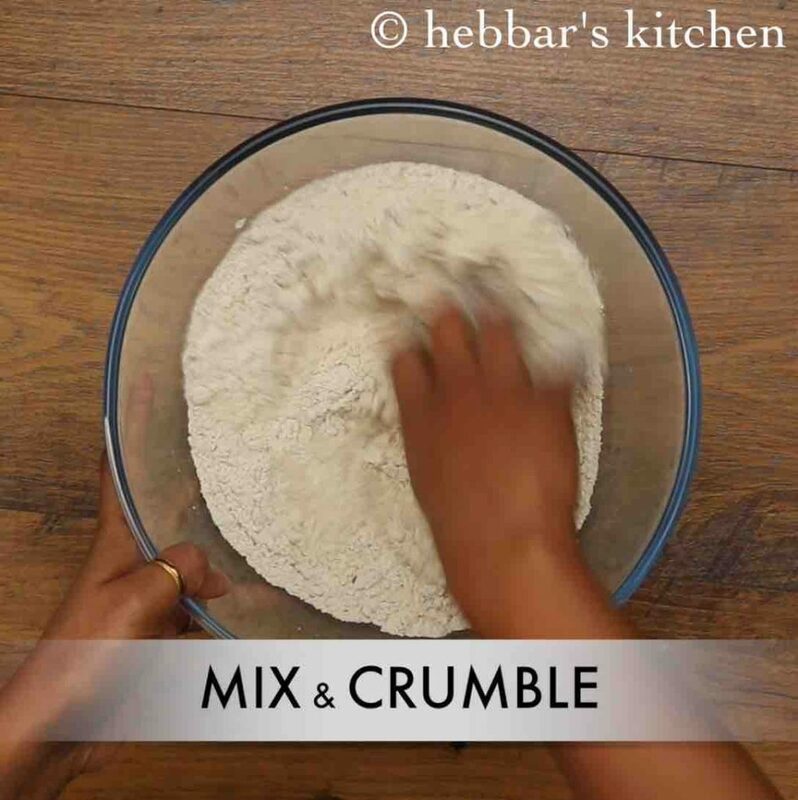 crumble and mix well making sure all the spices are mixed well. further, add ½ cup water. 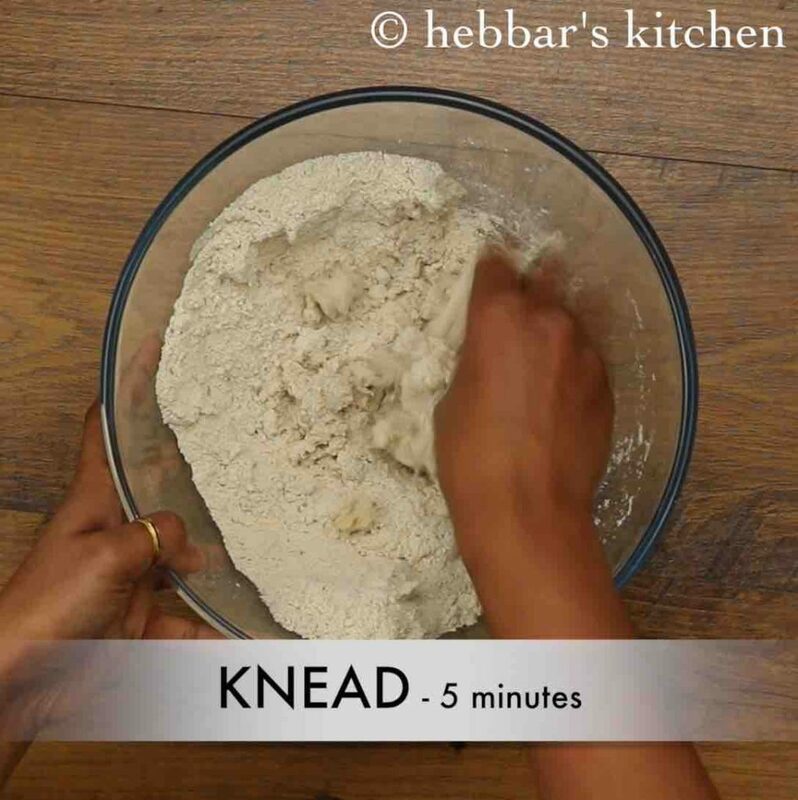 knead a tight dough as of poori. 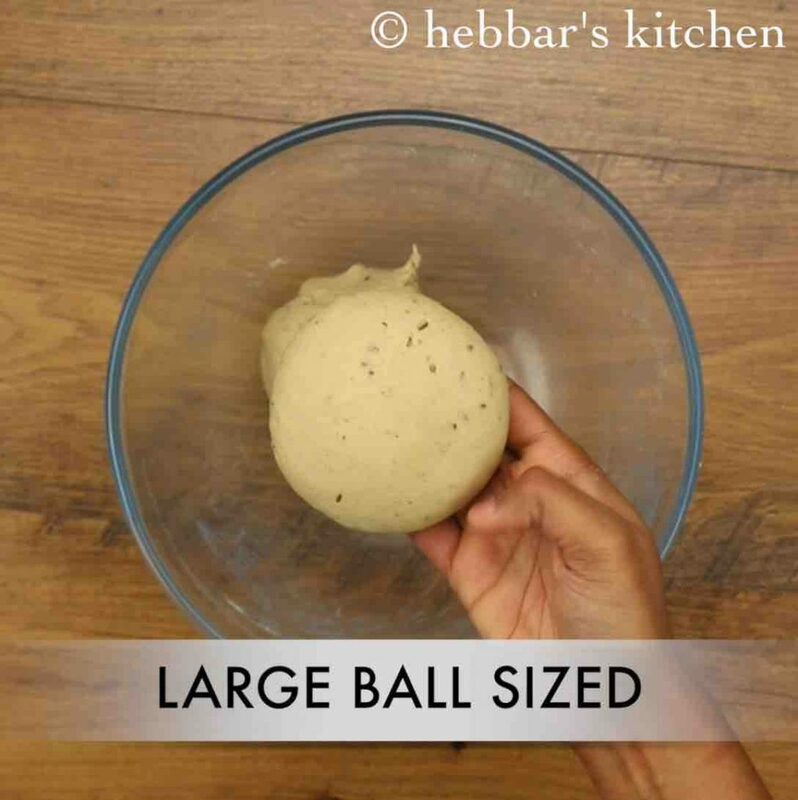 now divide the dough into half. dust wheat flour and roll slightly thick as of poori. 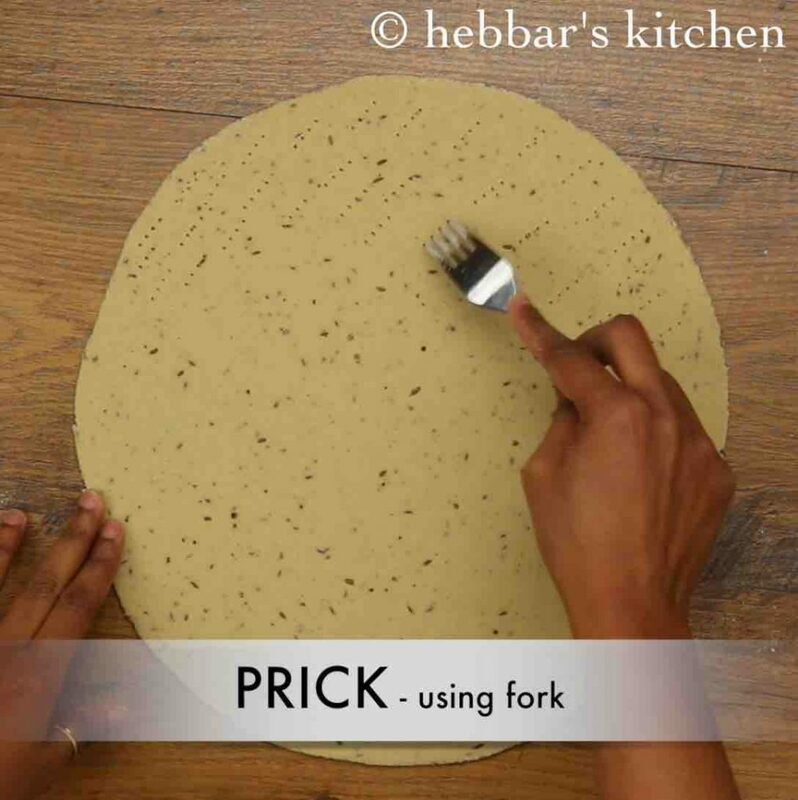 prick the puri with a fork to prevent from puffing up. using a cookie cutter/glass to cut small round puri. fry the poori in medium hot oil. 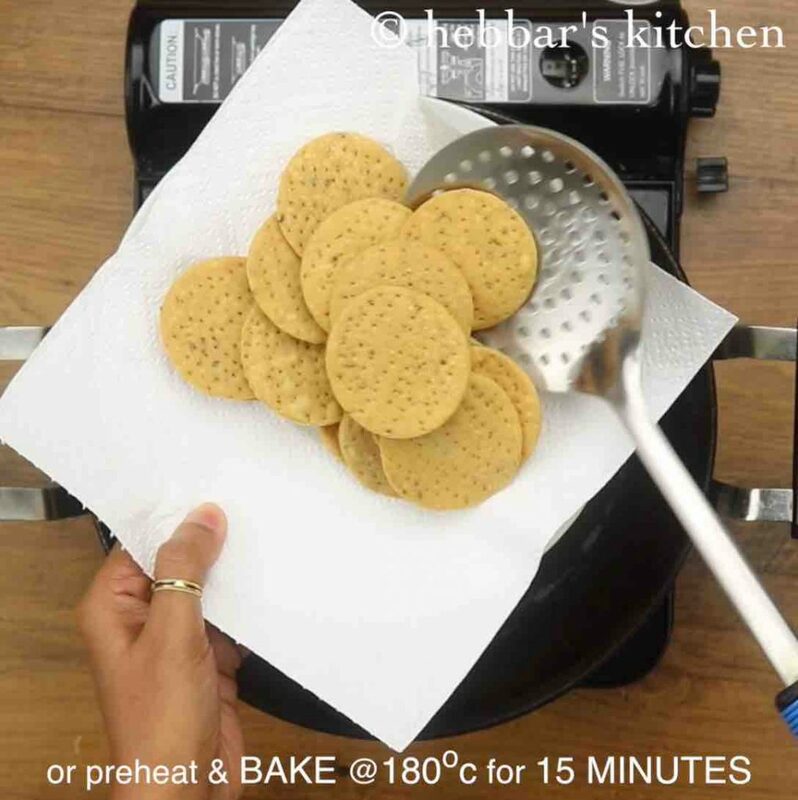 alternatively, bake in preheated oven at 180-degree celsius for 15 minutes. fry on low flame till the farsi puri floats. this takes approx 1-2 minutes. now continue to fry on medium flame till they turn crispy and golden in colour. drain off the farsi puri over kitchen paper to absorb excess oil. 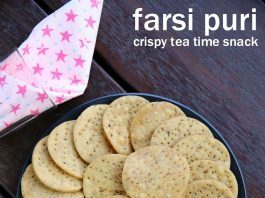 finally, serve farsi puri with evening chai or store in airtight container for a month. knead the dough well, adding water as required. firstly, adding ghee to flour gives a nice flavour to farsi puri and also makes crispy. 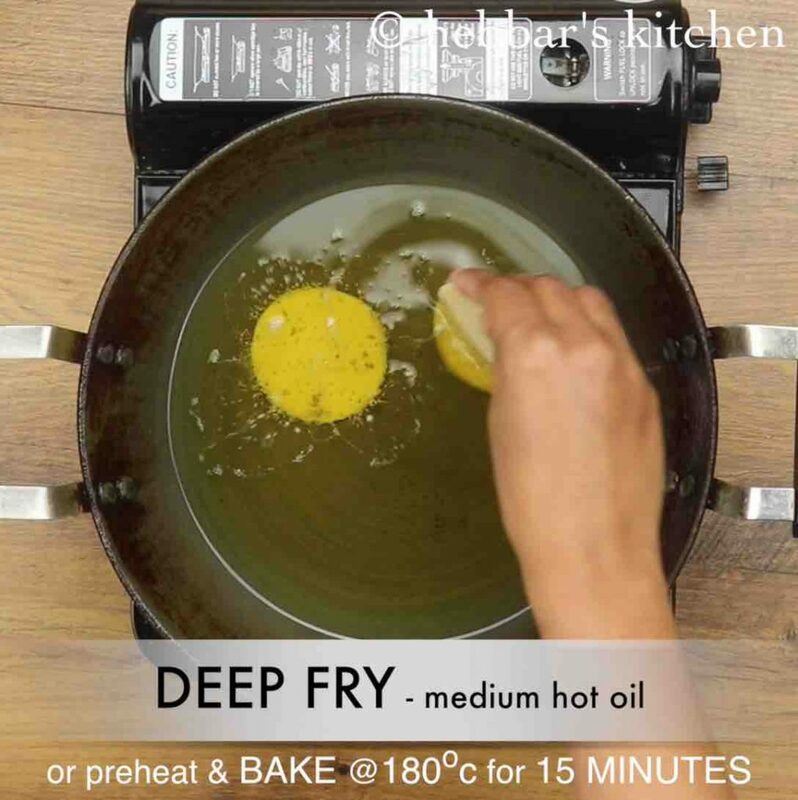 additionally, fry on low to medium flame for crunchy and flaky layers. also, add methi leaves to the dough to prepare methi puri recipe. finally, farsi puri recipe is traditionally prepared with maida and not wheat flour.